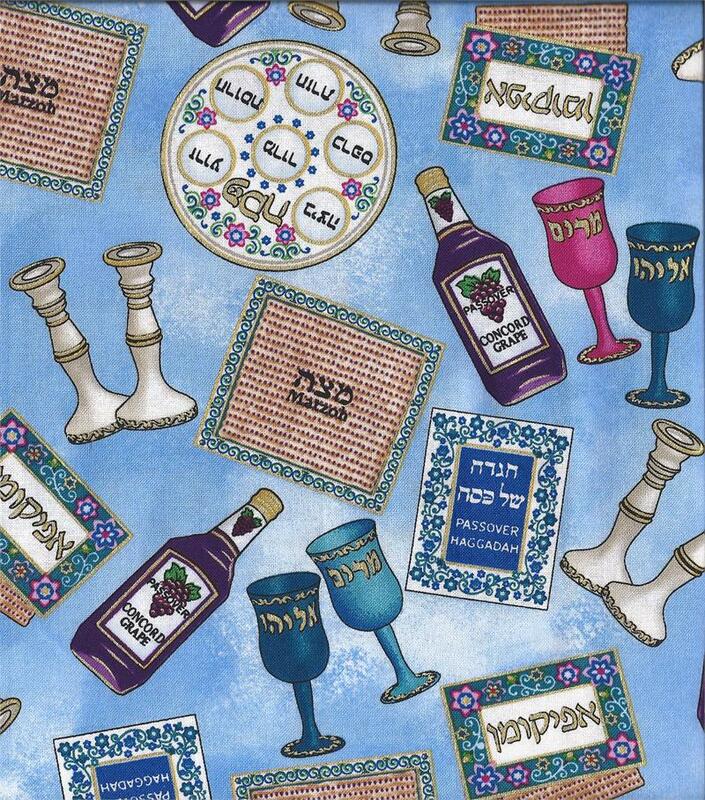 This Passover fabric is a 1-800-Dreidel exclusive. The multi-directional design has all the Seder symbols: the Seder Plate, the Hagaddah, the Afikomen, the plate with 3 matzos, Elijah's cup, Miriam's cup, the candlesticks and the kosher wine. This 100% cotton quilter's fabric is 57" wide so it is wide enough to make tablecloths. Makes gorgeous placemats. Each Passover symbol is outlined in a thin gold metallic line. The colors are beautiful. Price is per yard. See drop down box to select quantity. To order more than one yard, put 1 yard in your cart then change the number and click update. Total number of yards ordered will be sent in one uncut piece.